Greg Inglis will reportedly miss the first two games of the 2019 NRL season. 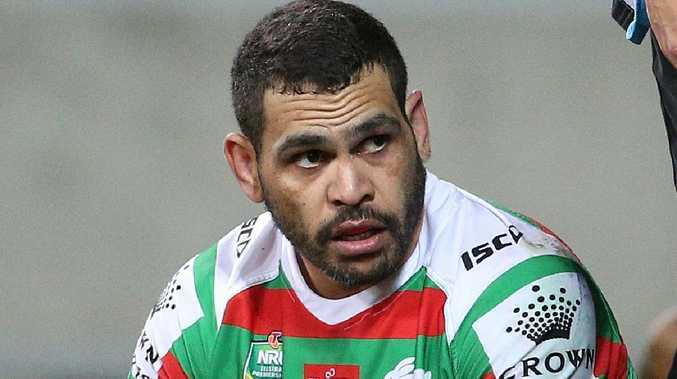 SOUTH Sydney captain Greg Inglis is reportedly set to miss the opening two rounds of the 2019 NRL season. The report comes just days after it was revealed Inglis would sit out the Rabbitohs' trial matches and Indigenous All Stars exhibition match against the Maori All Stars on February 15 after aggravating a knee injury. Inglis had discomfort with the knee he had reconstructed in 2017 during recent training sessions and is now on restricted duties. Greg Inglis of the Rabbitohs. "Greg Inglis, they're all saying, he will not be there," Triple M reporter Ben Dobbin told The Big Breakfast on Tuesday. "I spoke to Wayne (Bennett) about this. He won't be there for round one or two because he's 15 kilos over his playing weight." Bennett confirmed last week that Inglis "has just got some soreness there" and that it wasn't a major concern. The latest news, however, means the 32-year-old miss the Rabbitohs' Round 1 game against the Sydney Roosters on Friday March 15 and the following week's clash with St George Illawarra. "It's disappointing that I won't be able to play All Stars but I need to manage the body ahead of the season," Inglis told NRL.com last week. "I haven't been able to train much and I wouldn't want to go into a game of that importance and intensity underdone." 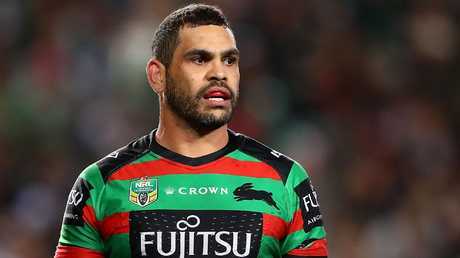 Inglis had off-season neck surgery before announcing he would retire from representative rugby league at the end of 2019 and the NRL in 2020. Alex Johnston is expected to play fullback in the short-term, the position Inglis is tipped to play this season.